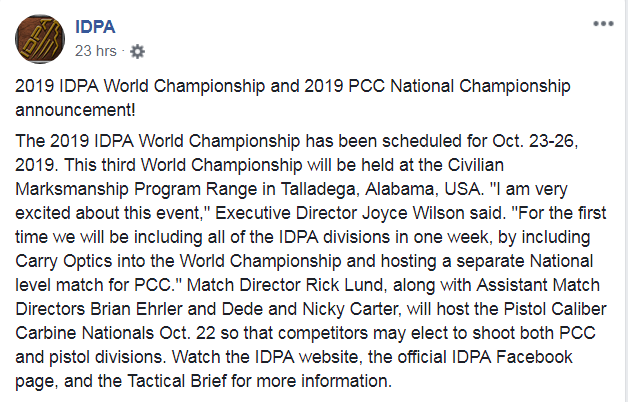 The 2019 IDPA World Championship has been scheduled for Oct. 23-26, 2019. This third World Championship will be held at the Civilian Marksmanship Program Range in Talladega, Alabama, USA. GMT-8, 2019-4-20 14:56 , Processed in 0.058449 second(s), 23 queries .